Ciao Wireless maintains an extensive inventory of microwave, mechanical and electronic test equipment. Equipment includes multiple Vector Network Analyzers (VNA), Network Analyzers, Scalar Analyzers, Power Supplies, Sweepers, Signal Generators, Oscilloscopes, Digital Noise Test Meters, Sources, as well other specialized test equipment, associated with GaAs FET Amplifiers, Sub-Systems, Pre-Amplifiers, Modules, Radial Power Combiners/Dividers, and Space Qualified Components and includes testing capability up to 67 GHz. 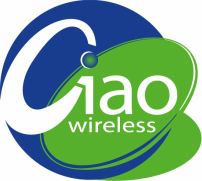 Ciao Wireless also features in-house Phase Noise (AM & Residual) Testing capabilities. Ciao Wireless maintains a fully functional Environmental Stress Screening Laboratory in order to support any customer contract where First Article, Qualification and or Production Level ESS requirements apply. Testing Capabilities include but are not limited to: Vibration / Shock (All 3 axes), Burn-In, HALT/HASS Testing, Temp Cycling, Life Testing, Gross & Fine Leak Testing, Solderability among others. Other Environmental Testing can be accommodated for items such as Salt Fog/Fungus, Explosive Environment, PIND, Internal Moisture Content and most other environmental test requirements as needed at local testing facilities. 100% Gross Leak Testing is conducted at Ciao Wireless and Fine Leak Testing is available when required. ​© 2017 Ciao Wireless, Inc. All rights reserved.